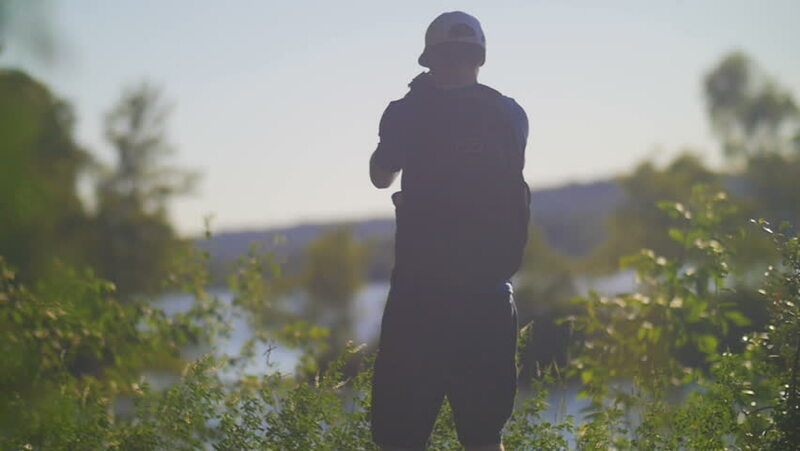 4k00:10A young man goes in for sports on logs near a lake. hd00:24Amazing show of pregnant woman and toy bear at sunset. hd00:20Silhouette of A young girl doing squats at the morning. Fitness training outside the gym, outdoor workout.